Please enter your details below to join the Euroll mailing list. Once you have clicked on 'Subscribe to List', you will be sent a separate email asking you to verify your email address - so please do this to ensure you are successfully signed up to our list. 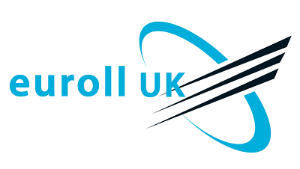 Euroll will send you details of updates to our products and services, special offers and promotions as well as general news from the team at Euroll. You can unsubscribe from emails at any time using the unsubscribe link at the bottom of your next email from us. You can also update your details and contact preferences at any time - either below or via the 'Update Preferences' link at the bottom of your next email from us. Thank you from the team at Euroll.